"Where is your Kamen Rider"
To celebrate the release of last Kamen Rider movie, "Heisei Kamen Rider，Kamen Rider HEISEI GENERATIONS FOREVER", in the Heisei era, we have prepared 20 designs of character poster-style T-shirts. 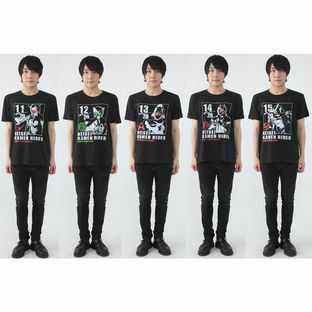 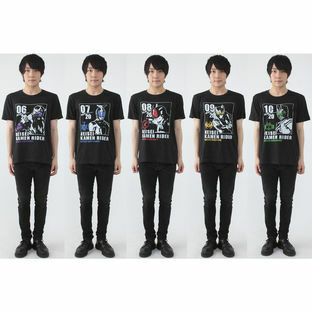 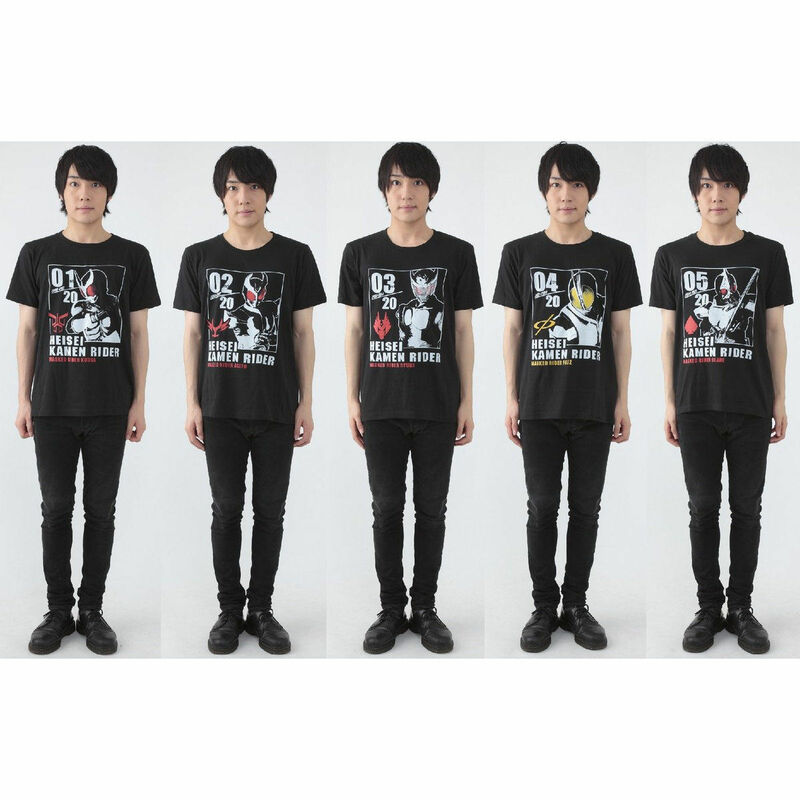 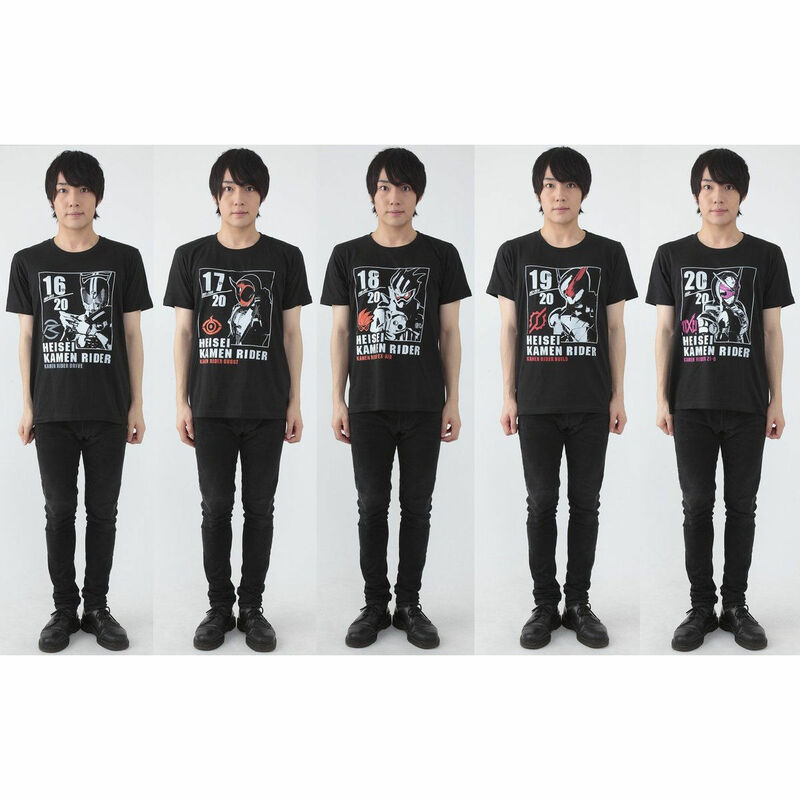 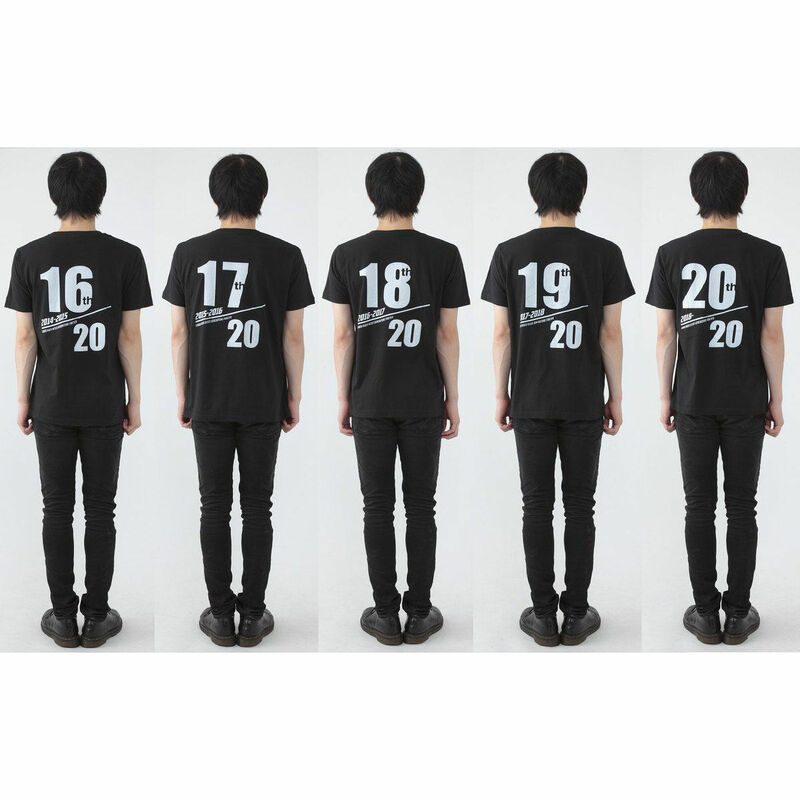 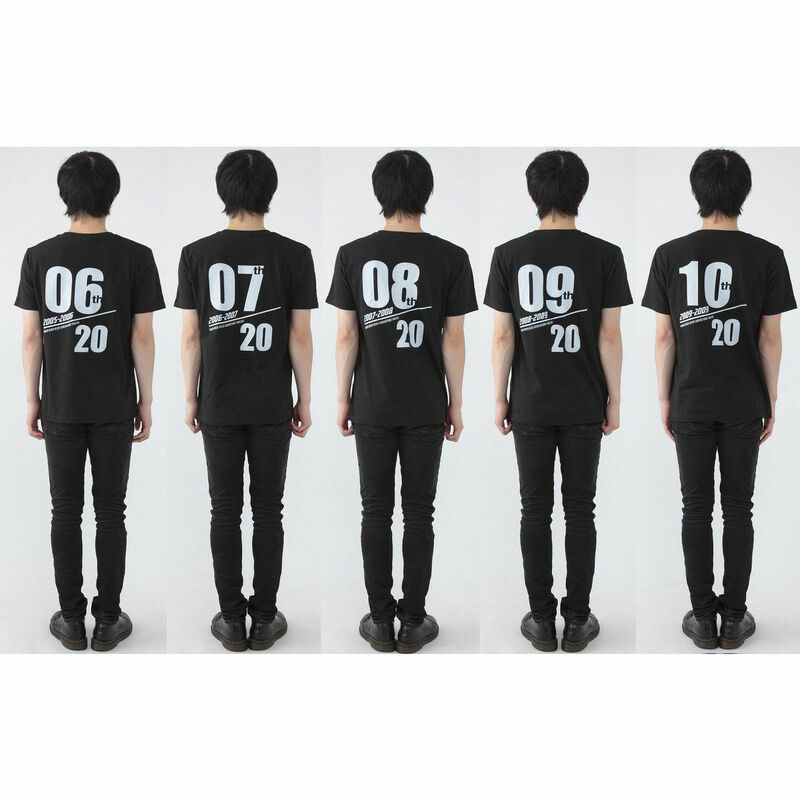 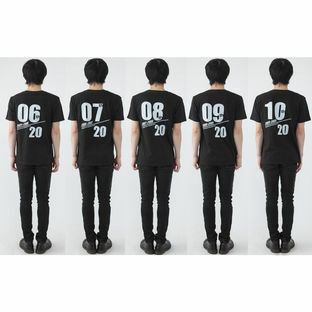 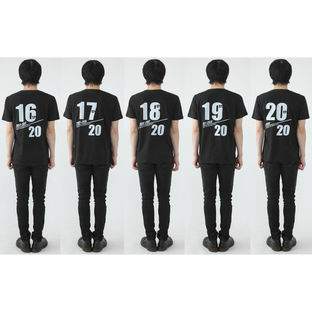 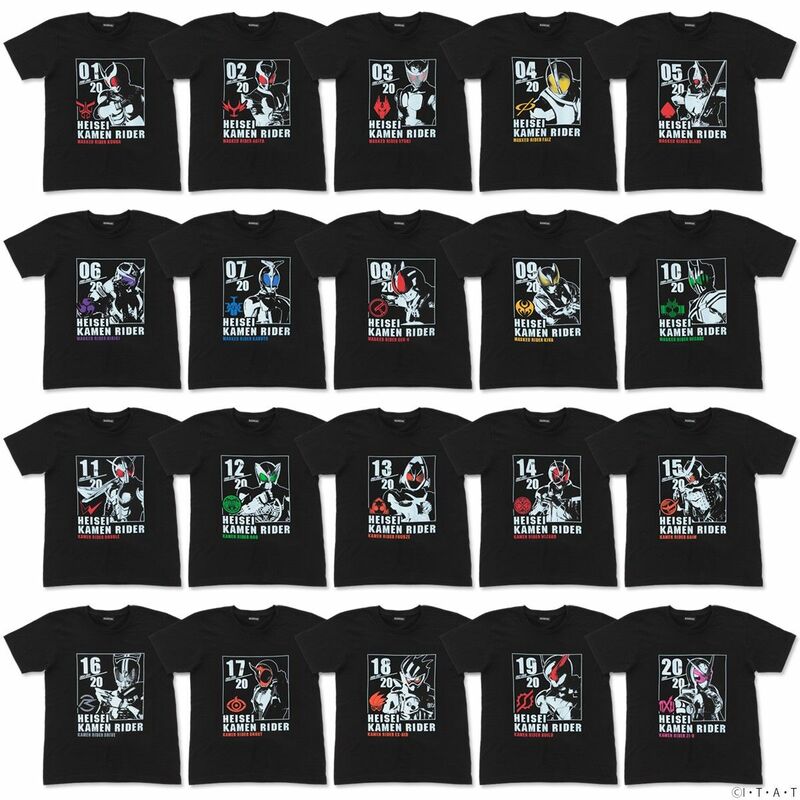 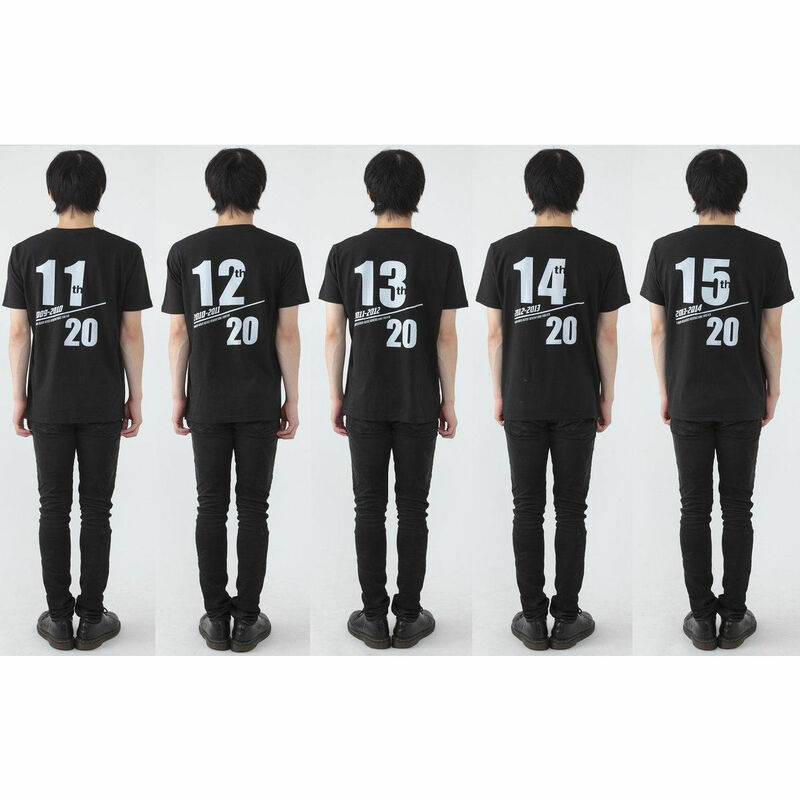 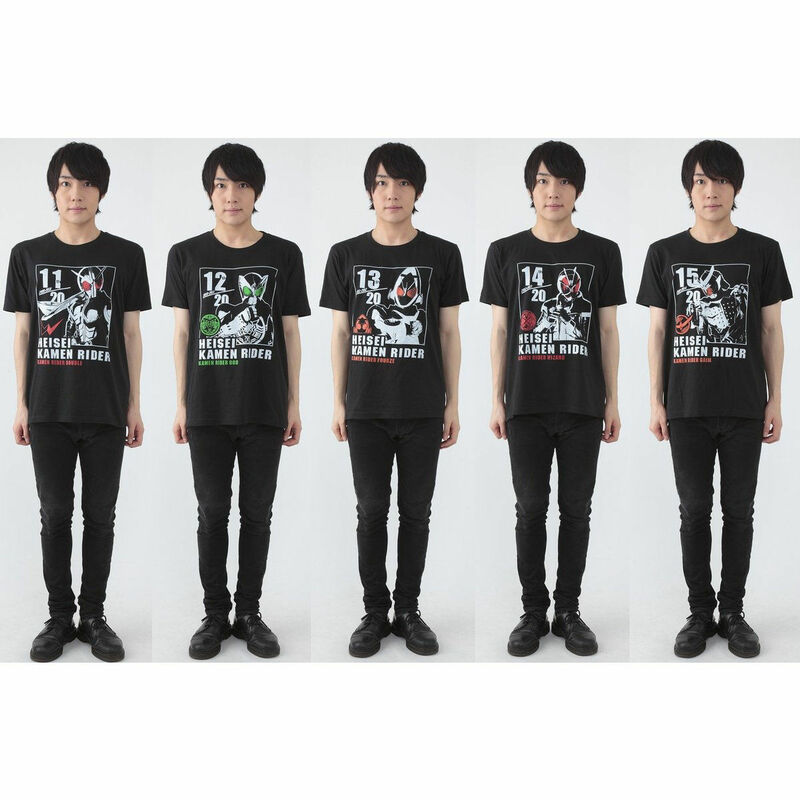 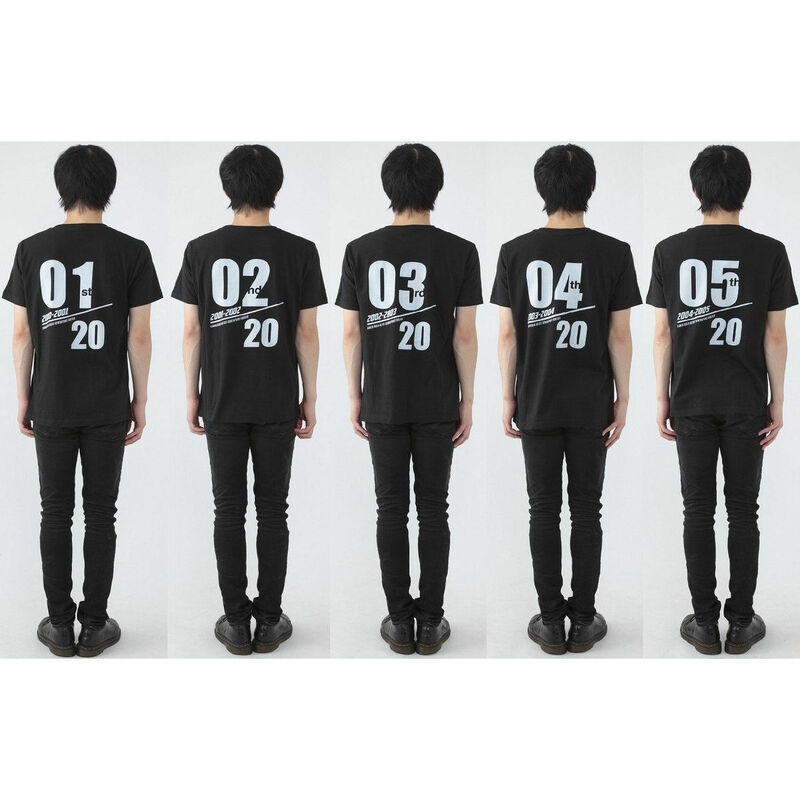 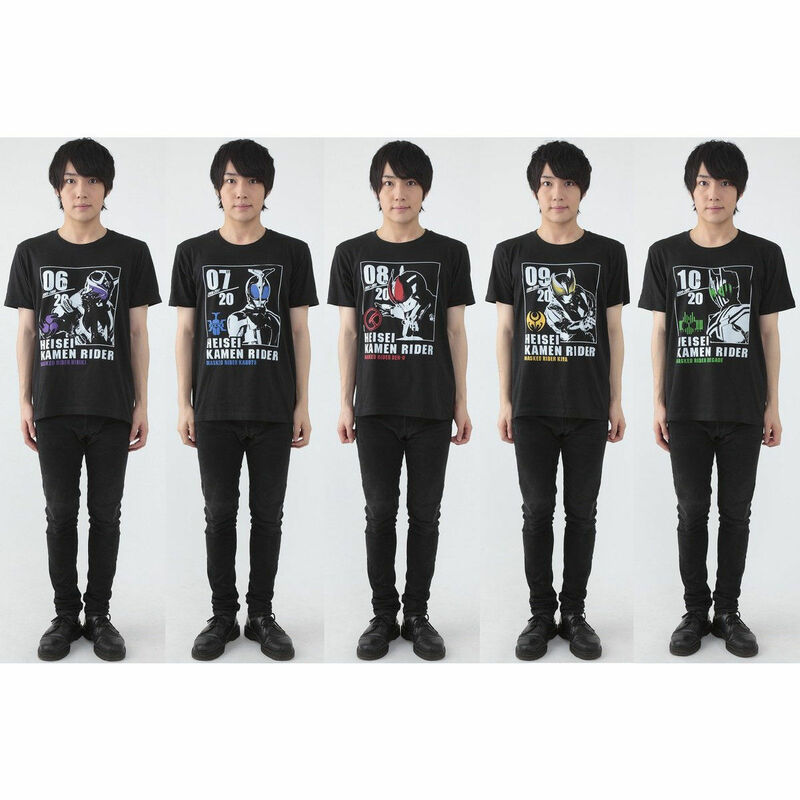 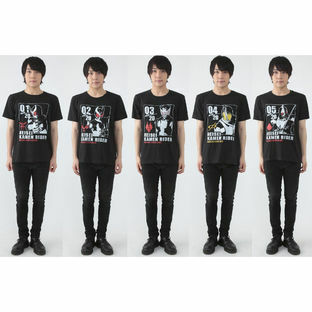 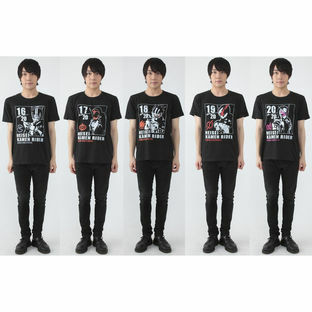 The stylish image of the poster, worthy as the movie of 20 Heisei Kamen Riders joining together, have fit into these t-shirts. 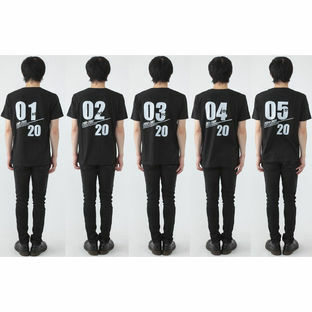 The design printed on the front is simple. 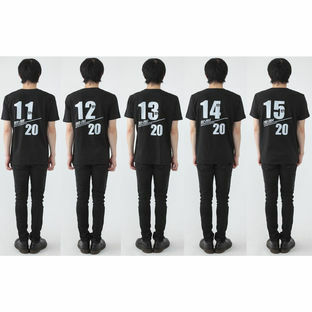 Only black and white has been used overall, standing out the eyes of each riders. 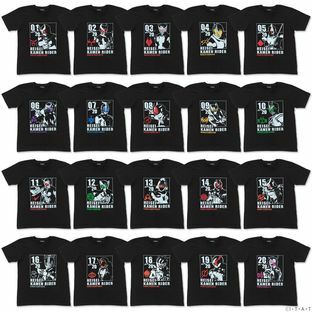 On the back side, the production and the Reign Title of each rider is printed .